At least it does with me. It’s a quick slide from the first thoughts of discouragement to the pit of despair. It happens so quickly that it’s often a surprise to find we have come to utter despair and hopelessness. David battled this just as many of us do. He wrote about it in Psalm 40. If you find yourself in the pit of despair look to the Lord. 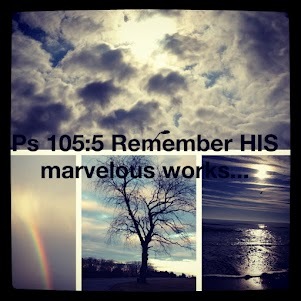 He will lift you out of the hopelessness. 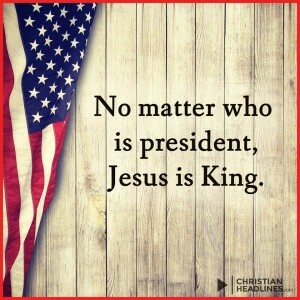 When it seems there’s no way out he will come to your rescue. The slide to despair is an easy one. The climb out is God’s work as we trust him. As one who frequently visits the pit I’m glad for a wonderful God who gives me hope and help when I need it most. I’m in a valley. It’s true. Have been for about a month now AND I love it! I do! I’m working in beautiful Salem Virginia. Mountains are everywhere I look. The ride to and from each week has been gorgeous with the color of the leaves changing to burnt orange and bright reds. Megan even asked me when I started working there, what it was like. My reply was, “I’m in a valley,” to which she responded ohhhhhh, niiiiice! I had to smile because I knew that I’ve been wondering about life’s valleys. 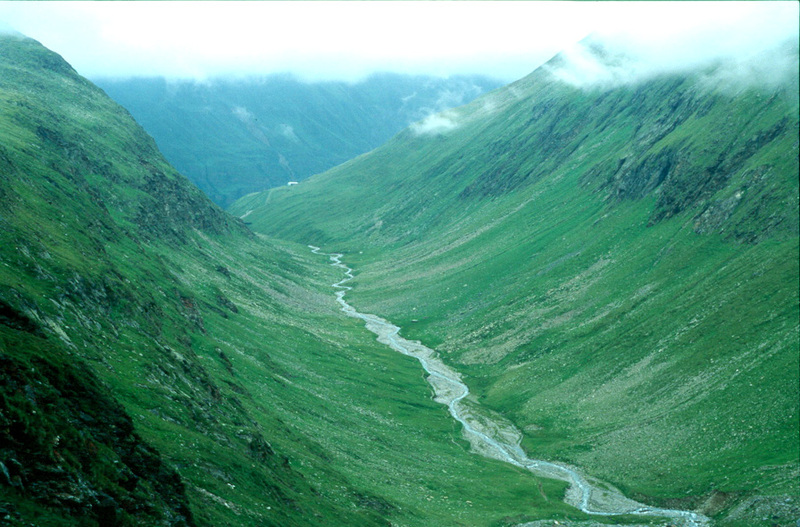 We all go through the valley in life, there is no escaping it. It’s a matter of when. My question to myself has been why don’t I “look up” at the wonderful surroundings when I’m in life’s valley, just as I’m doing while working here in the valley of Virginia? I know that I’m surrounded by a million little things that make life glorious and I also know the valleys are going to happen. So what is the disconnect? Could it be that I’m so focused on the issues that I forget to look up and enjoy what is around me? Or maybe the discouragement during that time has put a huge cloud over me and I can’t see the beauty that is all about me? Could it be that discontentment wastes my energy and I have no strength to focus on making it through the valley? Why have I never thought of looking up before? We all have so many blessings in our life that should carry us from one valley to the next but when we are in those valleys – we tend to forget them, so our stay there seems much longer than necessary. The valleys of life are hard. I’ve been in many of them and do not enjoy them during that time. I’m always thankful for friends I can come to for help, but like many – I sometimes choose not to ask, for fear of being a “burden”. I faced another closed door a few weeks back. My heart ached with great pain, discouragement and no music was there. Until I poured out my heart in the following words that day, I sat in silence. No singing, no happiness and fighting back the tears from yet one more closed door. Such is my life – as I stand, facing the closed door. Will I remember this in my next valley? Yes. Will it make a difference? I honestly don’t know. Will I struggle along alone? I hope not. I hope that I will have the courage to ask for help that day, but it takes courage for that, and I’m far from courageous. What do you think? Why do we not look up when we are in life’s valley? 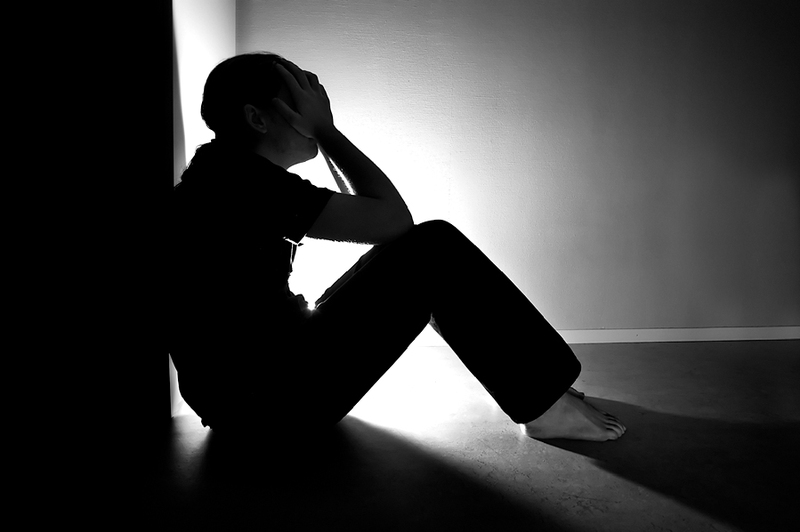 Why do we struggle alone – without asking for help? We have great friendships and tons of resources, yet we choose to limp along through the valley – alone. Tell me, what is the disconnect? Whatever your day has brought you – PRAISE HIM! 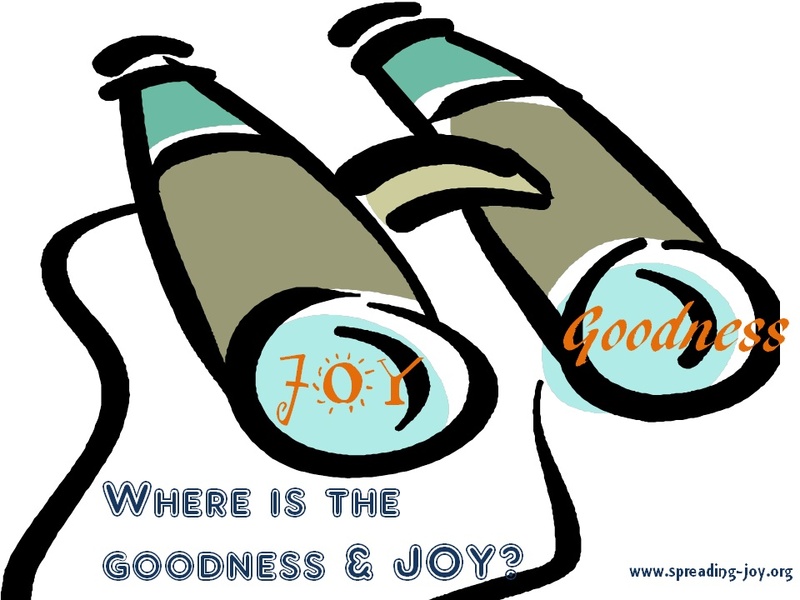 Where Is Goodness & Joy? The other day I was talking with a friend that I had not talked to in a while. Knowing that she had been through a deep, horrible loss with the death of her beloved brother, I emailed her to let her know I was thinking of her and praying for her. Through a series of emails, she made a statement to me that many of us often forget when the pain is overwhelming and the darkness has consumed our days. Here, among many other things, is what I shared with her. Pain, discouragement and disappointment can and often does bring isolation. Then the depression creeps in. When that happens, JOY is covered up and because you don’t “feel happy”, the negative emotions take over. Happiness is a fleeting emotion, while Joy is undeniable faith in an almighty God, who has your best interest at heart. We may not always understand our pain, anguish or why we don’t seem to be reaping the goodness we’ve sowed, but we can claim great joy in the Lord as we walk through the hardships that lay ahead. I’ve had several people tell me that the only reason I can be actively spreading joy the way I do is because things are good and/or that I’m just looking at the world through rose colored glasses. When I speak of spreading the joy of the Lord “regardless of circumstances,” I speak from experience. Yes, I’m so blessed! Yes, my needs are met and many of my wants are met as well. Yes, I have a wonderful husband, 2 amazing kids and family that I adore. Yes, I have a job to pay the bills and to give support to Spreading Joy with. But yes…I do know pain, hurt and just how dark negativity can make things. There have been times when grief has so filled my heart with sadness that I simply couldn’t get out of bed. There are things on my “only GOD” prayer list that I look at and wonder can I muster up a grain of a mustard seed sized portion of faith for those needs. But I can firmly stand on the Word of the Lord with Nehemiah 8:10 saying the joy of the LORD is my strength. Am I always happy? No, I’m not. But do I have joy through sorrow? Yes, I do. So, how do we find the goodness and find joy that gets hidden during these horrid times in our lives? We look for them, seek them, choose them and keep them. Look for the good. There is usually something good about each and every day. Trouble is our heart is so discouraged that it shuts its eyes to anything but the negative that surrounds the trouble. Uncover the joy that is waiting to be discovered. Use praise as a weapon. Being openly grateful about the blessings in our world will drive discouragement away. Don’t get me wrong, it may be a fight between your heart and mind, but it is worth it. Praise the hurt away. Sing until the clouds lift from over your heart. Laugh. I love laughing and sometimes, I laugh at the most inappropriate time, which tends to end up being funnier for those around me. When your heart is in despair, find your favorite cartoons, your favorite funny shows and watch them. Pray! Surround yourself with the Comforter Himself. God knows your heart, empty it of the hurt that is filling it up and let God’s joy strengthen you. Do something for others. Don’t let negative feelings about how small “your something for others is” cloud your heart. Just do it. I’m telling you, and I’ll keep telling you – go and give a box of Little Debbie Cakes away or a pack of Reese’s Cups. The smiles will be unbelievable. Dig deep into your memory. On the days when the sorrow is so great due to a horrible loss and you are working your way through the pain of that particular event, do something powerful and REMEMBER something good, just for a few moments. I know this kind of day. Even though you have great peace and trust the Lord to carry you through, the pain is so great that you wonder how you’ll function. Use the memories of something awesome to remind your heart that “this too shall pass” and just how amazing God’s grace truly is. This in no way is an exhaustive list, but it is things that I do and turn to time and time again. JOY…. Choose it today! Look for it today… Expect it TODAY! In the middle of your discouragement, remember the joy is right there too. Your eyes are closed to it because sometimes it is just easier to see the darkness. But remember, even in the darkest night, all it takes is one flicker and that flicker can be seen for miles. Uncover the goodness; don’t let it slip by you without you grabbing hold of it. How do you uncover the goodness and joy that is within your reach? Will you share some of what gets you through the dark times? What verse or verses get you through? Inspire someone by leaving a comment.